For those of you reading this who may be new to the world of Starlooks Starbox, it is a subscription cosmetic box that gives you a real bang for your buck. You pay $15 every month for high quality lipstick, eye shadows and much more. You basically get a whole new look in each box and for MUCH less then you would spend in retail. You also have the option of buying past Starboxes for $25, which is still a great value considering what you get. In addition, any product that you really like in the box, you can purchase in their store! I have tested this company 3 times thus far and can with great confidence, attest to their awesomeness. There is always a cool theme to each box and the boxes are art by themselves. You will love this subscription. Reviewing for Starlooks Starbox has been a pure pleasure, but this third box was a real treat for those that really geek over makeup. If you recall, I told you to expect a $99 15 color eye shadow palette and that is just what I received. I am ecstatic with the variety of colors and how incredibly smooth these go on. I had a lot of fun playing with them. Immediately upon use I realized a huge difference over most eye shadows, it wasn't nearly the dust storm most seem to put out when I swirl my brush in it. 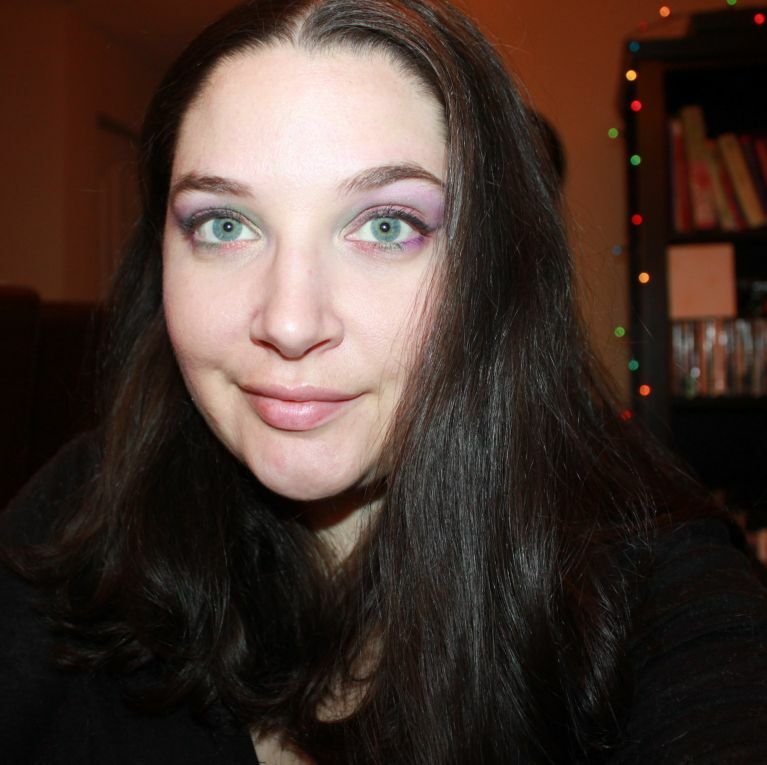 The colors are very pigmented and the palette has matte as well shiny mediums. What I love about this the most is the variety of darks and lights and how well they work with both respectable day and glamorous night time looks. 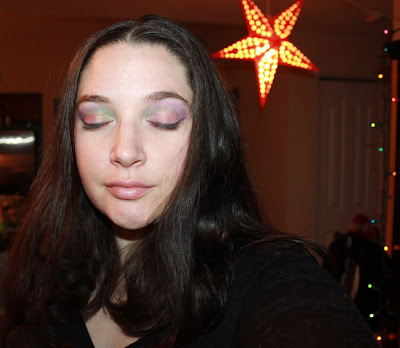 For this look, I wanted to really showcase what this palette offers, so I picked the most vibrant colors and used my Christmas lights as inspiration. I call it Christmas morning, as that is just what it reminds me of. 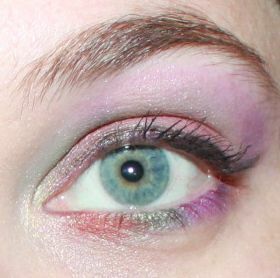 The colors used were the light yellow, then purple over and above that as the base, the purple went on the outer crease as well. Red blended from there inward, green in the inner crease blended into the purple and red, then I topped it off with some more yellow lightly dusted into the red from the inner crease. For the bottom, I used green red and purple. I used a classic winged line to top it off. 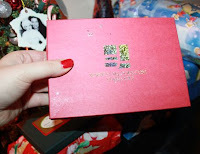 I consider this box such a lovely Christmas gift to review, and highly recommend you give them a try for yourself. This palette would make an awesome new years look and I'm already conjuring up something else I want to try. If this doesn't give you a good idea of what this wonderful company has to offer, you can find plenty of other reviews boasting about the same thing! Find out more about Starlooks here and buy your first box! You can also learn more and keep up with their promotions on their Facebook! To see my past Starbox reviews, October is here and November is here. I want one!! I love the look and the pallet!! I love starlooks. I am thinking about subscribing to them. The december box makes me want to subscribe that much more! Thanks for the review! Geat pic! That looks so pretty! I love the color choices!